The theme shows default / sample widgets in the “Sidebar – Default” position. In order to remove the sample widgets, you can assign your own widget to the “Sidebar – Default” position. 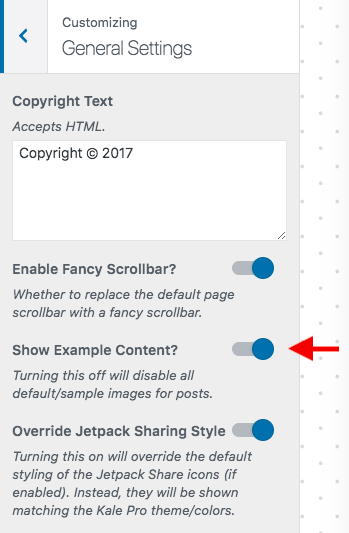 If you do not want to assign a widget to this location, then alternatively you can turn off the “Example Content” under Appearance > Customize > General Settings.